Safety is an important aspect of any construction job. When your work involves heights or operating above people on the ground, you need increased protection. 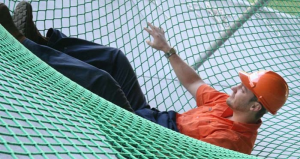 Our safety netting systems protect people and debris from dangerous falls. Fall protection is important to the safety of your workers and success of your construction project. Our custom designed and installed fall protection netting will protect against serious injuries from high falls. Our strong personnel netting is designed to catch workers to keep your construction project compiant with OSHA standards and avoid serious injury. Stop falling construction debris and tools from injuring people or damaging property near your construction site. 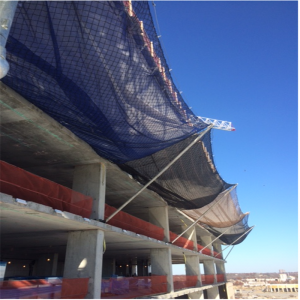 Add a second layer of protection to your construction netting by adding a debris liner. This smaller holed netting prevents most items from falling or escaping a construction site. Use as drop netting for high projects or as debris covers for entire buildings in urban areas. 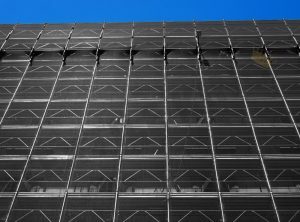 Building covers or building netting are important in urban construction projects where there is little to no space between the building under construction and the public. This is a common problem with rehab projects in cities, where sidewalks and busy streets are just inches from work being done. Debris protection is an important part of completing your project successfully. Our manufacturing line allows us to produce the right netting for your specific job. 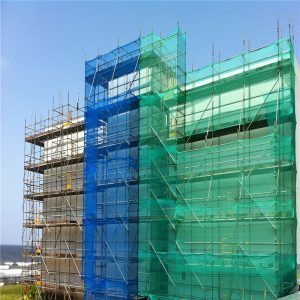 Contact us for a quote on your next construction safety netting job.